There is significant misinformation about the way wildlife is managed in British Columbia (BC). This backgrounder attempts to clear up the incorrect information and provide an explanation of the way wildlife is managed in the province. The Ministry’s decision on December 10, 2014 was the result of 10 years of exhaustive discussions between the BC Wildlife Federation (BCWF), the Guide Outfitters Association of British Columbia (GOABC), and the provincial government. These talks included talks with a neutral facilitator to help resolve this longstanding dispute. The Ministry made a balanced decision and neither party was completely satisfied. However, it is an improvement on the previous policy and provides increased certainty for allocated species. Putting this decision into legislation will finally close this matter. How do other jurisdictions allocate hunting opportunity between residents and non-residents? Some jurisdictions have a lower percentage of tag sales to non-residents than BC, while some have higher. In BC, the average share for the guide outfitting industry is 12% – consistent with neighbouring jurisdictions. Have hunting opportunities for the resident recreational hunters been reduced? Most hunts in BC are managed through general open season, tags purchased over-the-counter. This decision has no effect on these hunts. For hunts that need to be allocated, there are approximately 17,500 tags issued every year for hunts that need to be allocated. The FLNRO decision will result in 618 fewer resident tags or a 3.5% decrease as compared to 2014. This decision provides a little relief for those small family businesses but does not replace the revenue lost from the new Harvest Allocation Policy. This is an incorrect statement. Resident recreational hunters have approximately 88% of the opportunity for allocated hunts. Most hunts are not allocated but are managed through general open season, tags purchased over-the-counter. These hunts are not affected by the Harvest Allocation Policy. This is correct – with the implementation of the allocation policy in 2007 and other economic factors the number of non-resident licence sales has decreased from 6,387 in 2005/2006 to 4,491 in 2013/2014. Over the same period, the resident hunting licences have increased from 85,633 to 102,113. The abolishment of the long gun registry and the Hunter Recruitment and Retention Strategy is working. Unfortunately, this increase in resident recreational hunters has put additional strain on an old draw system and is the cause of much frustration. Guide outfitting is the founder of the tourism industry in BC and an important contributor to rural economies. The guide outfitting industry brings $120 million of new money each year to the province. The average guided client spends $27,000 on their hunting expedition – very high value; low volume tourists. Almost all of this is spent in BC on improvements, infrastructure, equipment, supplies, services, and taxes. ‘New money’ benefits all British Columbians including the non-hunting public. GOABC supported the intent and guiding principles of the new allocation policy. As the financial impacts became apparent, GOABC asked for an independent impact assessment. Economists and other experts confirmed that the loss of flexibility (success rates, regional allocation, and access to vacant areas) created significant unintended financial impacts to the industry. While there is some relief in the December 10, 2014 decision, GOABC expects the policy will still negatively impact the industry $3-4 million per year. Will 110 to 186 animals save the guide outfitting industry? It will not, but we are pleased with the certainty that comes with fixed splits. There are many small family businesses that will still have significant financial hardship because of the new Harvest Allocation Policy. 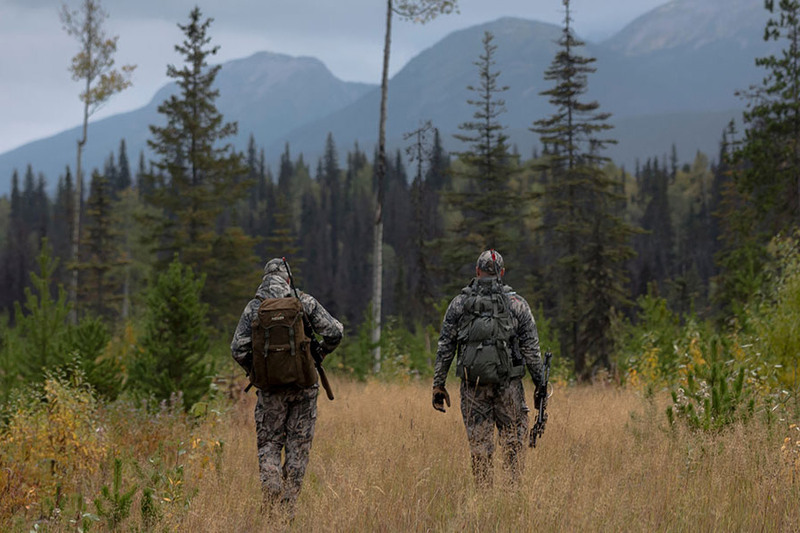 In summary, both resident recreational hunters and guide outfitters in BC have longer seasons, more species to hunt, and greater opportunities to hunt than most other jurisdictions in the world. Most species are managed through general open seasons and this allocation decision will have virtually zero impact on the resident recreational hunting opportunity in BC. Now all hunter conservationists can focus on wildlife and the habitat they depend on. Please call Scott Ellis, Executive Director of the Guide Outfitters Association of British Columbia, at 604-541-6332 for more information.